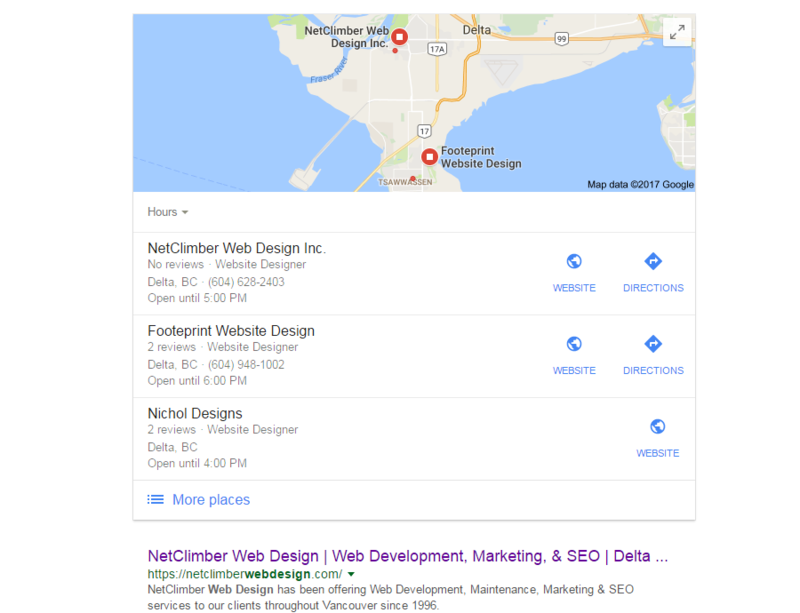 SEO & Your Website | NetClimber Web Design Inc.
SEO, or Search Engine Optimization, is the process of optimizing your web presence to appear higher on the search engine results page (SERP). It combines both on and off page strategies to create a strong profile for your website. The stronger your profile the higher your rankings. Once a website has been built its profile starts to take shape. If this business has existed for a while it is likely to have many business listings, references, and other mentions of it online. The website, business listings, and mentions of the business are what make up your businesses online profile. Generally speaking, the bigger the profile, the better. SEO works to grow and optimize each aspect of this online profile to show Google and other search engines that this business is here, they perform these services and you should display their website for these types of terms. Sounds simple enough right? Wrong! SEO is a highly technical and largely undefined area of expertise that can change weekly if not daily. Most amateur coders also claim to be experts at SEO but they are far from it. To be an SEO consultant it requires years of training, experimenting, reading, reading and, oh ya did I mention reading? 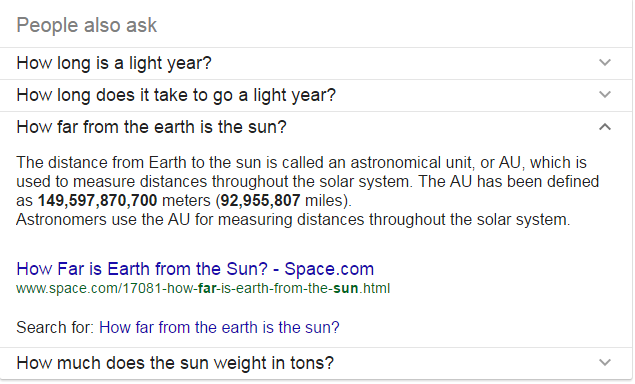 Google does not actually come out and say to rank well you need to do X, Y, and Z. Instead SEO’s must read studies, peer reviewed papers, blog posts, and articles to stay up-to-date on this dynamic industry. Some wonderful industry leaders where we do the majority of our research include Moz, Search Engine News, Search Engine Land, and SEO Roundtable. Most people already understand the benefit of showing up high on Google’s search results. The more visible your business the more traffic to your website, the more traffic to your website the more business, the more business the happier your are! Search engines make up approximately 28% of all referral traffic on the web. That means that 28% of all link clicks on the ENTIRE web comes from Google, Bing, Yahoo, etc. (80% of this is Google so approximately 22%) This is a huge number. To put that in perspective Social Media platforms only provide about 5% of all referral traffic. Needless to say being highly visible on search engines is ideal and has the potential to drive thousands of visitors to your website every day. Not only do you want to show up well in the typical search results but you also want to make sure your business is displaying in local maps, near-me searches, and any other local searches. Local search is an ever-increasing area of specialization for SEO’s all over the world. Local search SEO focuses on optimizing a website to show up for area-specific searches such as “Web Design Delta”. Since 2015 mobile search traffic has been greater than desktop search volume. With the increase in mobile traffic the importance of being able to be found in local search has also increased. As a business you need to be found when someone is conducting a “Your Business Near-Me” or a “Your Business in City” search. These searches show intent. These searchers are looking specifically for your business right now. These are the types of customers that can be converted into sales easily. As this is seen as low-hanging fruit lots of companies have started jumping on-board with local search. This is why optimization is important. An experienced SEO will be able to help you float to the top of your local search results. Although SEO can be divided into many different sub-categories, there are two major categories: on-page and off-page optimization. The first, on-page, is the foundation. Without a proper foundation the rest will be more or less a mute point. On-page optimization is the process of reviewing the website page by page and highlighting keywords in specific areas. These keywords are placed in various locations (Meta title, meta description, page title, H1 & H2 tags, copy etc.). On-page optimization also includes reviewing site structure, internal linking, image optimization and tagging, code optimization, general web health optimizations, and the inclusion of a newer aspect of SEO – structured data. The second main category of SEO is off-page optimization. Off-page optimization is all about building trust and credibility with Google. They want to know that yes your business is who they say they are and that they are good at what you do. Off-page optimization includes tasks such as link building, outreach, guest blogging, citation audits, and many more tasks. This is by far the larger section of SEO and requires constant attention. Link building is perhaps the single most important off-page factor to increasing rankings. Google sees links from reputable websites as them vouching for your business. The more people you have vouching for your business the better Google thinks your business is, and the higher it will rank your website. Link building however is also one of the most difficult things to do consistently. The best way is to have a quality content strategy and well developed distribution networks (Social, Blog, other sharing platforms) that allow you to get more content in front of more people. For local search a business wants to make sure that any mentions of the company or website online (citations) are all as accurate as possible. The more accurate sources of data there are throughout the web the more Google can trust the information that is being provided to them. The more they can trust the information they have the more likely they are to display your company’s information when prompted. SEO is not a quick process. It is exactly that, a process. It takes time to build up your online profile. If it is done too quickly Google may see this as spam. SEO is a continual process that will help to grow your website traffic month over month and year over year. Unlike Pay Per Click which will increase traffic instantly, SEO grows traffic building it up over time offering a more stable business expansion. Both on-page and off-page SEO are vital to the future success of any business. Showing up in the organic search results, local maps, knowledge graphs, instant answer boxes etc. all lend credibility to your business showing customers that you are the best at what you do in that area. Make sure you start optimizing your site today. Whether you start by learning the basics from wonderful free resources such as Moz’s Beginners Guide to SEO or by giving an agency like NetClimber a call. It does not really matter, all that matters is that you start optimizing your website today!